For Free Estimate Call Us! When your property is struck by disaster, ServiceMaster 1 Call Restoration is here to rescue you. Our main mission is to help you get back to your normal life. Our technicians are trained, equipped and ready to restore your property after any disaster. We protect you and your family from all kinds of damage, whether big or small; with our restoration and other cleanup services. 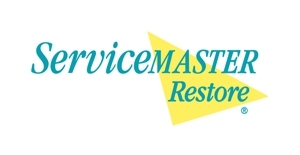 When a disaster strikes your place, ServiceMaster 1 Call Restoration responds quickly to help you mitigate the damage, restore furniture and other items and get your life back to normal. Our services include fire restoration, flood restoration, crime scene cleanup and so on. Our owner goes to every restoration project and is found to be the first on the scene of every cleanup. For detailed information about our services, call us at (862) 256-3614. For a FREE Estimate on Your Restoration, Call Now! Copyright © 2018 servicemaster1callnj.com All rights reserved.